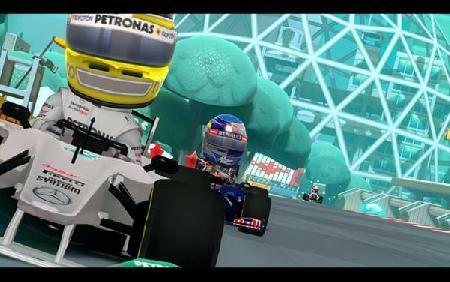 Codemasters announced today that a new expansion pack for F1 Race Stars is now available to download on Xbox 360, PlayStation 3 and Windows PC. Race around Canada, China, India and Europe! 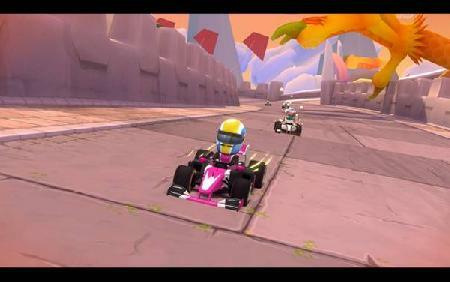 "F1 Race Stars" delivers formula fun on every straight, hairpin, jump and loop-the-loop with super-fast racing and a range of power-ups for you to collect and deploy as you sprint for the chequered flag ahead of your rivals. Friends and family can share the fun with F1 RACE STARS four-player split-screen racing and twelve player competition online. The new tracks are available today, January 8th, from the Xbox LIVE Marketplace for the Xbox 360 and, via Steam, across Europe and North America. 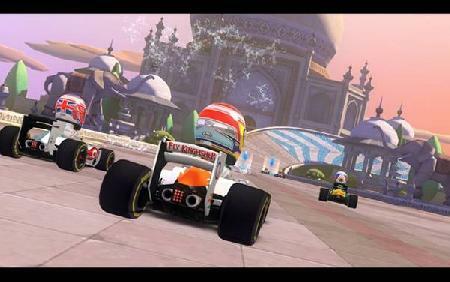 The tracks will be available for the PlayStation 3 in Europe from Wednesday, January 9th; the content is already available for PlayStation 3 in North America. Who will become the glorious leader in China? The China Track will see players join the cast of F1 Race Stars in the electric East, as drivers whip through water gardens, speed past dragons and charge across great walls. The Europe Track brings the F1 Race Stars to Valencia. Race through a marina, slice and dice through the docks, speed across super-slippy ice and dodge flying tomatoes as the F1 Race Stars speed through Spain. Each Track Pack is priced at 400 Microsoft Points on the Xbox LIVE Marketplace for the Xbox 360, and €4.49 / £3.59 / $4.99 on PlayStation Network and Steam for Windows PC. Xbox 360 Games: F1 Race Stars"
For the first time in wrestling video game history the top grappler's from all over the world are in one game to battle it out to see who will reign supreme! Legends of Wrestling will put you right in..